Raven's Curse Haunted House is Southern Illinois' premier haunted attraction. Raven's Curse is more than 11,000 square feet of Hollywood quality sets, terrifying live actors, and state of the art animatronic characters and effects. It's like stepping into a real life horror film that blurs the line between nightmare and reality. Once inside the gates of Raven's Curse, you'll make your way through Hemsworth Estate. The once prestigious home of Dr. Alexander Hemsworth now lies in ruins, filled with the evil spirits of the long dead Hemsworth family. Survive the estate, and you'll pass through the shantytown in the marshland behind Hemsworth Estate where many of the estate's staff once lived. The rundown shacks were once used to practice dark magic and many of the evil creatures they once conjured still lurk in the shadows of the swamp. If you are brave enough to continue, and you'll find yourself inside the Doctor's Asylum where the ghosts of deranged doctors and tortured patients still roam the echoing halls. Can you survive the Raven's Curse? Raven's Curse Haunted House is owned and operated by Pale Night Productions, a recognized leader in the haunted attraction industry creating world class haunted houses all over the world. PNP has built complete haunted houses in Ukraine, Thailand, China, Russia, and the US and has provided products to nearly every major haunted attraction and theme park Halloween event in the world. 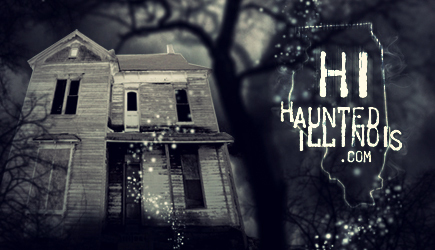 PNP is now bringing their legendary brand of haunting to Centralia and Southern Illinois may never be the same! Special Events:After visiting Raven's Curse Haunted House be sure to stop by the gift shop for branded merchandise and snacks, tempt the fates in our escape game, try your hand at one of our midway carnival games, and enjoy some big screen horror in our free outdoor movie theatre!